Last week, 14 people went with John Eager Howard and No Boundaries Coalition to Baltimore Education Coalition (BEC)'s Rally Leaders Prep Session. We heard the latest updates on the facilities campaign and learned about our strategy for the state legislative session. What is the facilities campaign and why is it important for Reservoir Hill? Baltimore Education Coalition is working on a financing plan to leverage State and City dollars to $2.4 billion for school facility upgrades. The first step of this plan requires passing the "block grant bill" in Annapolis. Over the next 10 years, JEH is estimated to need over $14 million in facilities repairs. Without the proposed financing plan, these repairs will not be possible. If the block grant bill passes, John Eager Howard is slated for a full renovation or replacement as soon as 2014-2015. For more information check out the Baltimore Education Coalition and Transform Baltimore websites. What can we do to help pass the block grant bill? Come to the February 5th Reservoir Hill community meeting: 6pm at the Rec Center, dinner provided. We'll discuss the plan in more depth and talk about the neighborhood's involvement in the campaign. Come canvass with us on February 11th: meet at 3pm at John Eager Howard, canvass from 3:30-5, and debrief at the Rec Center after. We want to be sure as many people know about the plan and ways to get involved as possible! Come with us on February 25th to the Rally in Annapolis. In order to demonstrate Baltimore's commitment to the plan, the BEC is working to turnout 3000 parents, teachers, students, community members for this rally. John Eager Howard is working to fill 2 buses-- will you get on the bus with us? Contact Erin Bowman, ebowman@reservoirhill.net or 410-225-7547, to get involved and save your seat on the bus! Fifth graders at John Eager Howard working on their "Rally Song" to be performed at the Tuesday Community Meeting. In late November, the Baltimore City Public School System released its 10-year plan recommendations for every City school. 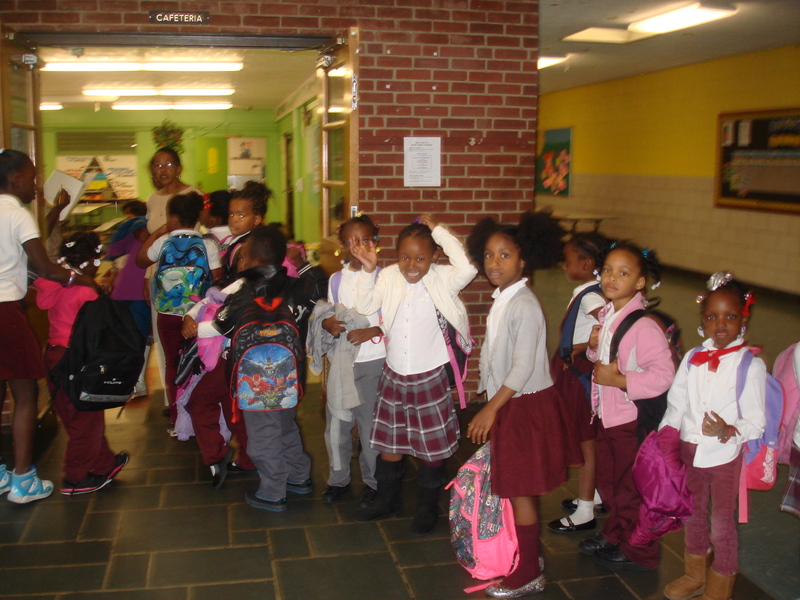 The goal is a bold one - to provide a fully modern school facility for every child in Baltimore City within ten years. For full information go to: 21st Century Buildings for our Kids Reservoir Hill's John Eager Howard School (JEH) is listed as renovate with possible addition or replace. Westside is closing. Mt. Royal is listed as renovate with possible addition. This plan is contingent on legislation being passed this session at the state level to give the school district the funds to make the renovations. Reservoir Hill school advocates will, as in past years, be on the front lines of that advocacy. We are on the precipice of giving our children the best schools to attend possible, and we need your help. Reservoir Hill's own John Eager Howard School has been named National Title I Distinguished School for the 2012-2013 school year. The school will be honored by the U.S. Department of Education and the National Association of State Title I Directors in an upcoming ceremony in Nashville next month. The Maryland Department of Education nominated one school after a thorough review of student achievement data based on the Maryland School Assessments. John Eager Howard had the highest score for Category 2—closing the achievement gap between student groups. JEH Scholars have been busy this fall at John Eager Howard! Students painted in after school art classes, performed in a Math Bee, enjoyed salad at Whitelock Community Farm, and worked to keep greening John Eager Howard. Every Tuesday and Thursday during Child First students participate in Green Keepers/Kids Grow. This fall, students planted "mystery" seeds, raised Black Swallowtail Caterpillars, learned about habitats and food chains, and explored the lives of trees. Throughout December, students will learn more about seasonal changes and how they impact animals. ". . .Last year we built a wind turbine and learned about energy and how to make it. We ride bikes, scooters, and things that don't use gas to keep the environment clean and to keep chemicals out of the air. We want better buildings with bigger classrooms with space for plants to help us learn and clean the air. . . We compost 3 days a week at John Eager Howard to make soil so we can grow better foods. We want there to be fewer rodents at our school. . . We recycle and had a school contest in art class to decorate the bins. We recycle to keep our environment clean. We would like to have a choice about the food we eat at lunch; we want our lunches to have food from Whitelock Community Farm in them. . . We have a garden at our school and I helped plant some vegetables. It's fun and helps me learn science. We want more murals at our school that talk about the environment. . . We have pet caterpillars to learn about how they grow. We would like to have trays for our school lunches that are recyclable. . ."
[youtube http://www.youtube.com/watch?v=vu88eDkpdLE&w=560&h=315] This year, as part of Child First, John Eager Howard and RHIC welcome Michelle Luong to the family! Michelle is working at JEH through MICA's Community Art Collaborative program (CAC) and will be with the school full time for the 2012-2013 academic year. Check out the above video to hear about why Michelle decided to apply for CAC and what she'll be doing with students this year! You've already heard about all the plants growing at John Eager Howard, but this year JEH is growing more than broccoli! Students, teachers, parents and community members have all been busy at JEH this fall. The school broadened its existing partnerships by bringing in Playworks and Parks & People, and is expanding its work with Child First in order to offer more opportunities to students and families. 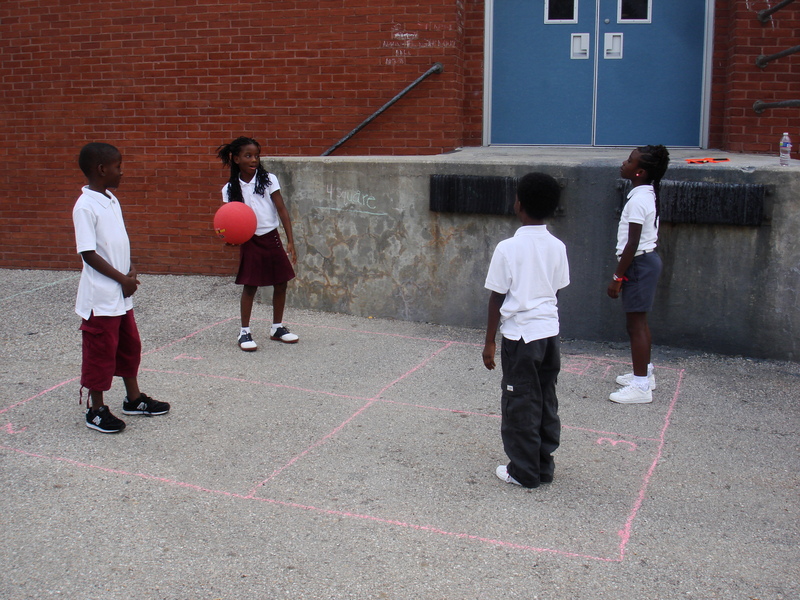 Playworks promotes team building, works against bullying, and improves the school learning environment by teaching games and encouraging physical activity during recess. 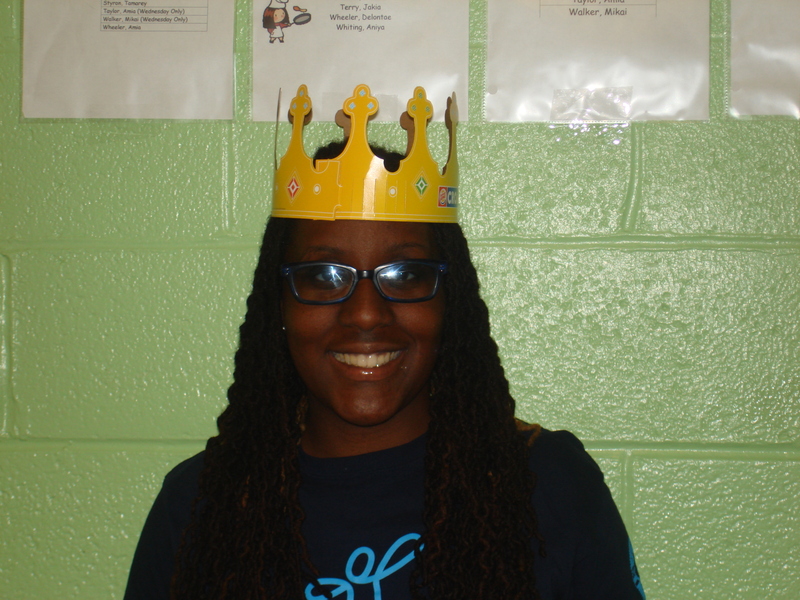 Coach K leads Playworks at JEH, and though she's only been at the school for less than 2 months, she's already part of the family! John Eager Howard also expanded it's partnership with Child First. Jennifer McDowell, who worked with JEH families as a parent organizer last year, is now the Community Resource Coordinator for the school. Additionally, JEH now has a fully funded Child First sponsored after school program. The after school program includes academic and enrichment opportunities for students and is being directed by JEH's own 5th grade teacher, Ms. Chambers. Green Keepers, RHIC's after school environmental science club, is growing! 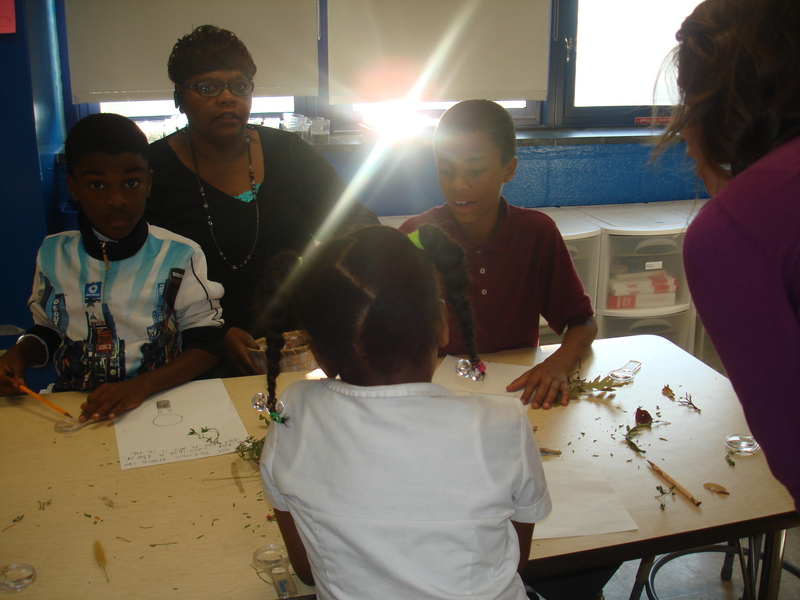 This year, through a partnership with Parks & People, RHIC is able to bring Kids Grow to JEH. Kids Grow is an environmental education program designed to improve academic skills while providing students with meaningful experiences in nature. While Kids Grow is only available to children enrolled in Child First, all JEH students have the opportunity to be Green Keepers by helping to support the many other Green School efforts taking place during the school day. Wavering because of audit, school advocates say, means "turning your back on our kids"
The first step in the battle for school funding in the upcoming General Assembly drew a crowd of 300. John Eager Howard School’s Back-to-School Night was a spirited start to the year on September 13th. A professional singer kicked off the event by taking “volunteers” from the audience to do some singing and dancing. First, a group of mothers were featured . . .
After the mothers and fathers strutted their stuff, students took part in a first-ever John Eager Howard fashion show. The school has standard school uniforms, but anyone who has been to the school has probably noticed that the students personalize their uniforms in a lot of ways. The fashion show highlighted the creative ways the students add their own personalities to their school uniforms. Following the fashion show, JEH staff and teachers were introduced to the participants. Then everyone got down to work. The children filed out to a session of games with Playworks. And the parents worked in small groups to learn about and discuss new school procedures, ways the school operates, and goals for the year. Finally, students transformed themselves into waiters and waitresses, taking orders from the working parents and serving a dinner of hamburgers and hot dogs. The 2012 – 2013 school year promises to be busy and exciting. There are many opportunities to volunteer at the school and everyone’s help is needed. The morning of October 7th started with grey skies, cold, and the threat of rain, and pretty much stayed that way, but, hey, it's autumn. Whitelock Street was alive and vibrant anyway. Four hundred people came out for the 2nd Whitelock Harvest Fest and had an incredible day sampling food, talking with neighbors, listening to great music, and enjoying the activities for our children. Held on the site of Reservoir Hill’s former commercial hub, the Fest is a celebration of family, community, healthy food, recreation, creative city living, and the power of working together to return life to the heart of Reservoir Hill. Neighbors and Friends . . .
Reservoir Hill’s own youth hip hop dance group, Infamous . . .
Balloon-makers and Face-painters . . .
Smoothies made by pedal power . . .
AND LOTS MORE FOR THE KIDS TO DO . . .
New News: Games for Children at Whitelock Fest! Movie Night on Whitelock Street! Community Lawn to be Installed on German Park. Can You Help?